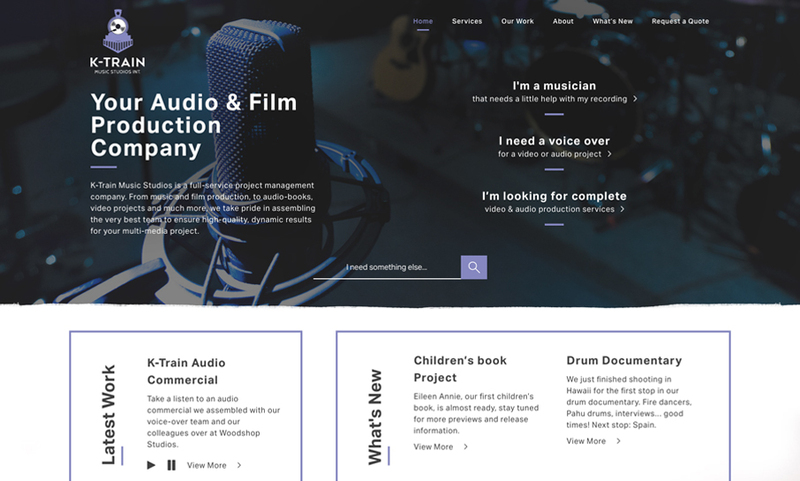 Introducing: a website production for an audio/video company. 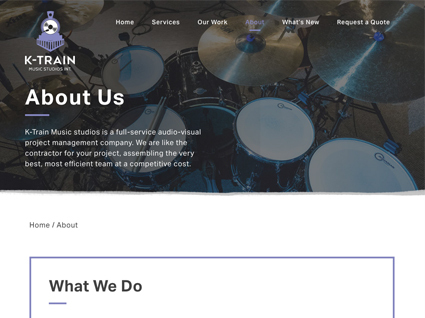 The team at K-Train is passionate about multimedia, and their services run the gamut from studio recording and sound mixing to documentary filmmaking and video production. Ready to launch their online presence, they need a website that was engaging and promoted their services. Our team will get back to you ASAP about what budget a project like K-Train Music Studios requires.